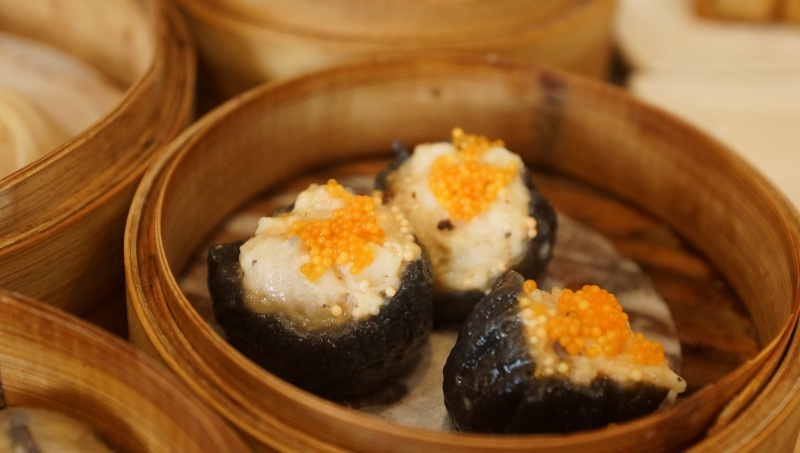 Swee Chun is known to serve round-the-clock dim sum and Dim sum Haus is poses as a challenge to the big brother for a slice of dim sum share in the downtown area. 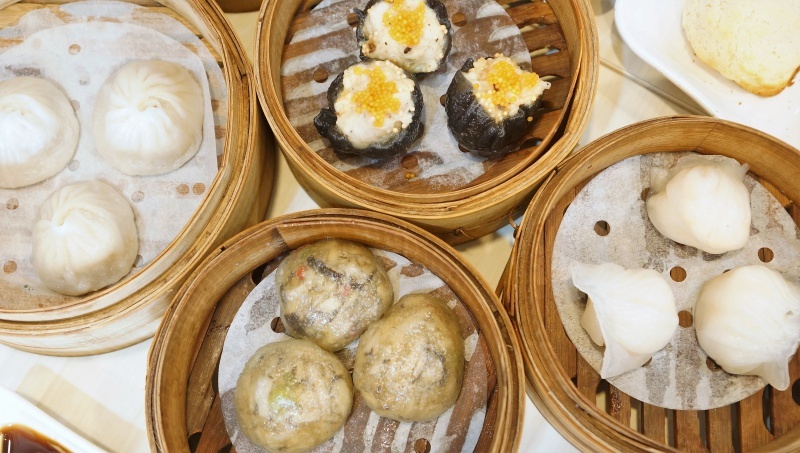 So, how did it fare for its dim sum? We are keen to find out. 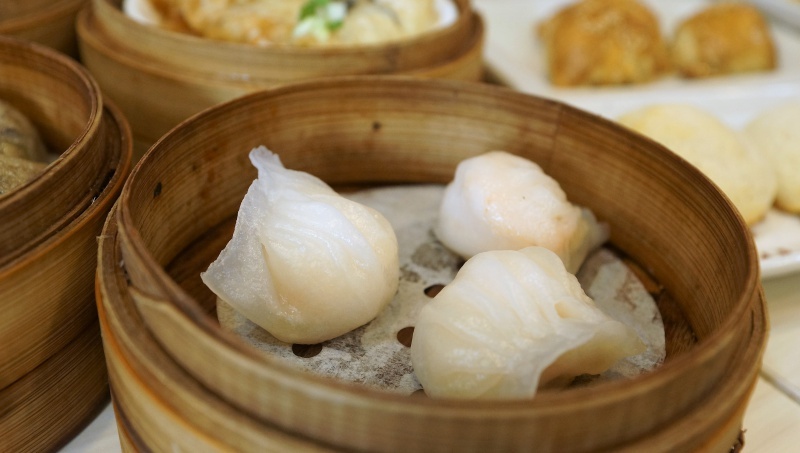 Don’t really fancy Har Gau with its monotonous shrimp filling but decided to give it a try. Not too delicate for an evenly crimped wrap but the shrimp was springy and fresh. 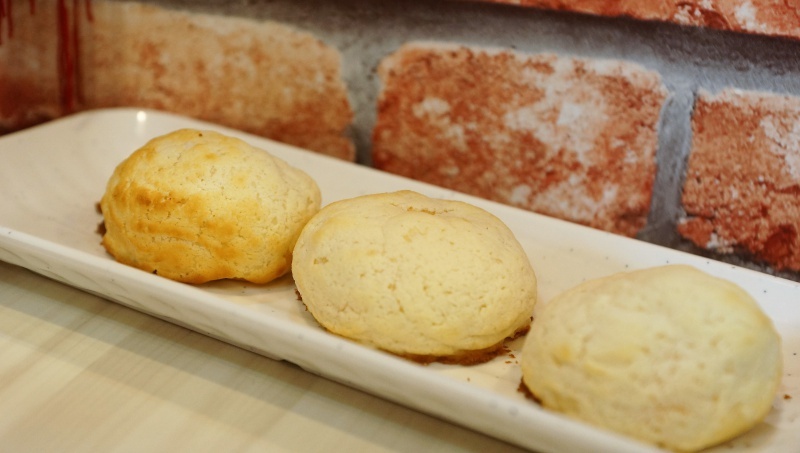 The thin skin and smooth dough kept the overall texture pleasant to the taste buds. 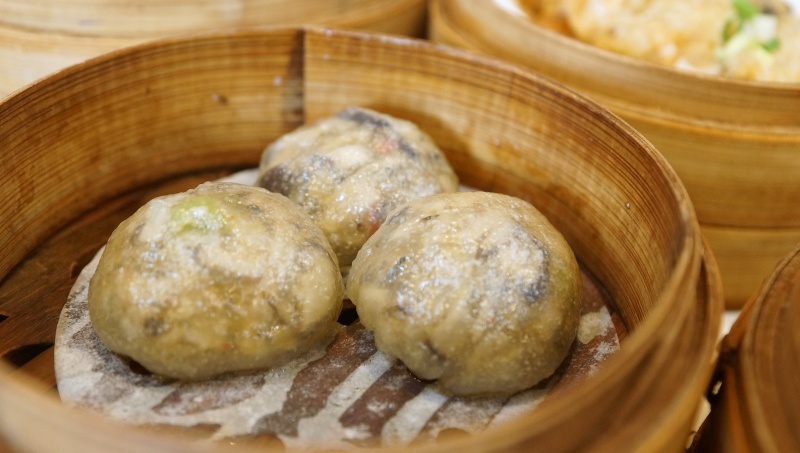 Allegedly one of the signature dim sum here, but the Hak Kai Siew Mai was somehow missing the right flavour to entice the tastebuds. It might have the needed ingredients more ingredients but the texture was a little too firm and not adored by us. 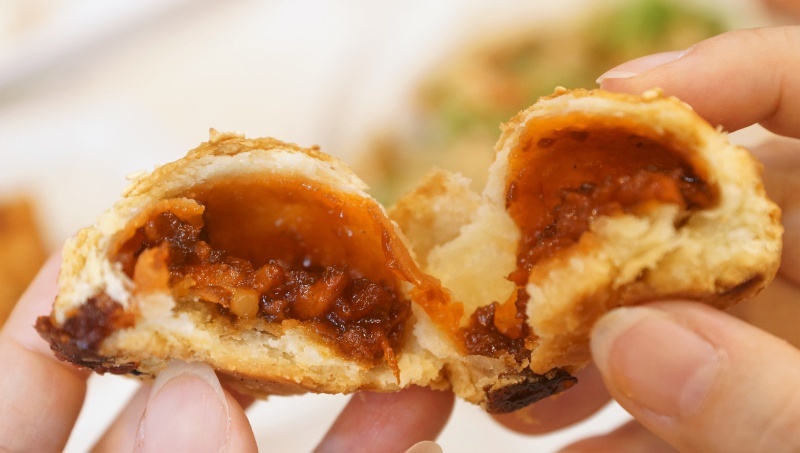 The filling was flavourful but the base chili sauce could be more robust to better complement the dumplings. 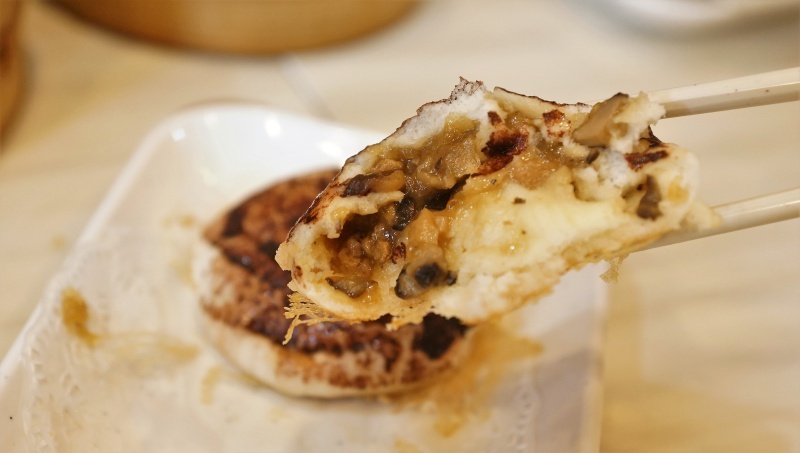 The mushroom filling was a little bland but the skin was thin and chewy. 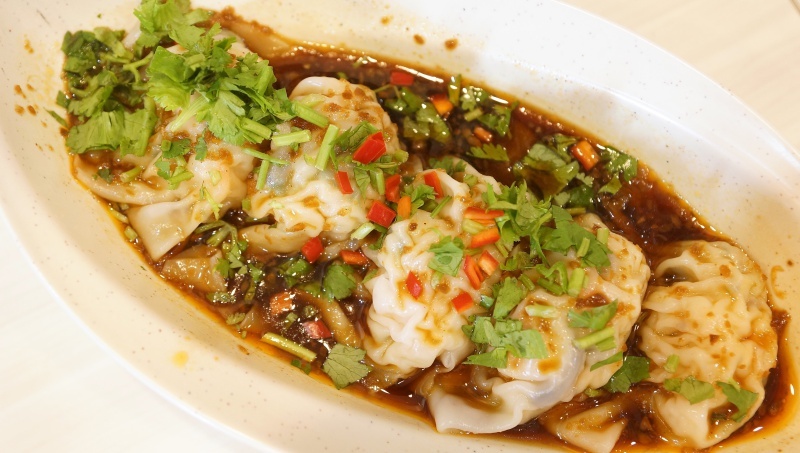 You need an aromatic broth to complement a flavourful minced meat and wrapped in a thin and smooth dough skin to encase the essence of the Xiao Long Bao. 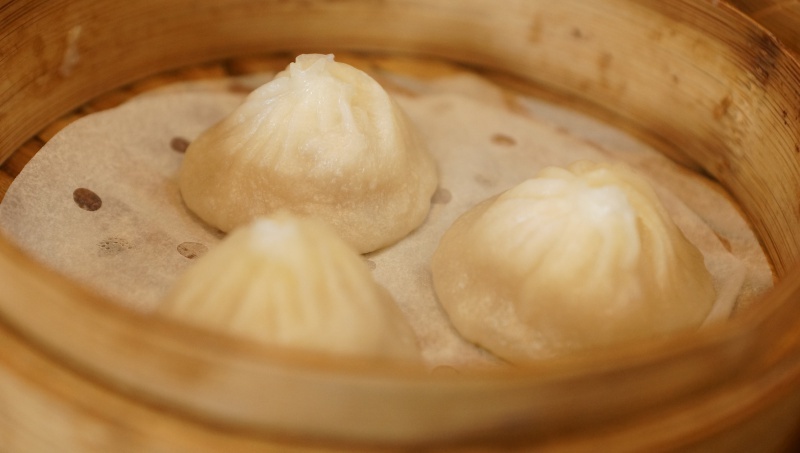 Unfortunately, there is still a good gap to fill for Dim sum Haus to attain the standards of a good Xiao Long Bao. New item on the menu, served in the small steamer basket. Tasted decent but not the most memorable. 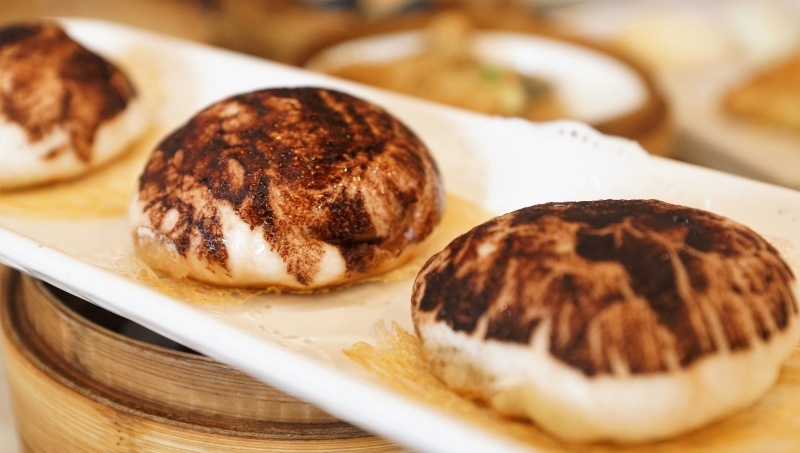 We can taste the flavour of the white radish, mixed with the fragrant of the dried shrimp and pan-fried to a golden brown. Pretty delicious but the saltiness came off a little too overwhelming. 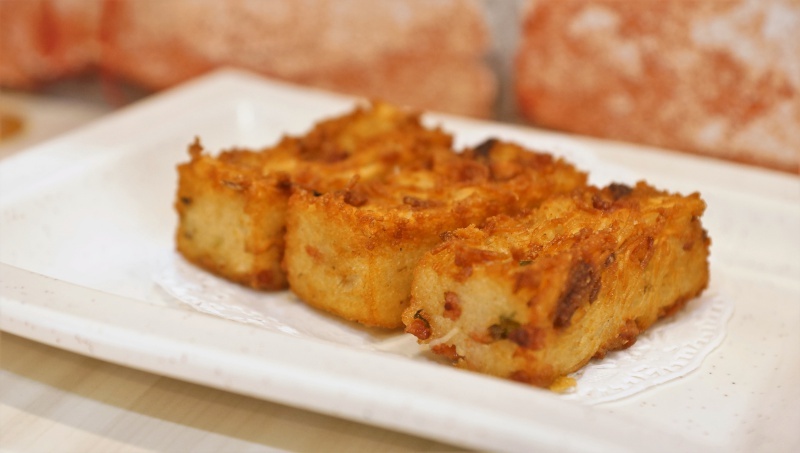 The flavours of the deep fried mee suan was enhanced by the fragrance of the Chinese sausage and the dried shrimp, with a slightly-charred coating to boost the overall taste> The mee suan was not too mushy and a dish worth to try. This was supposed to look like a mushroom, but the resemblance has a lot of room for improvement. 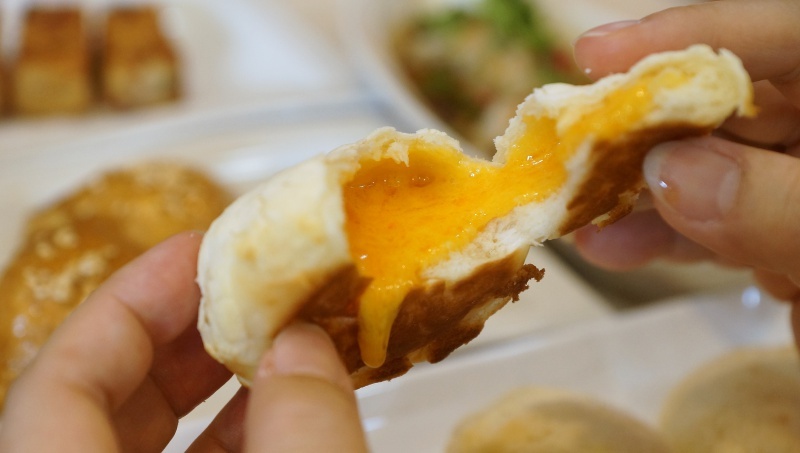 Putting the mediocre craftsmenship aside, the filling was also not impressive, making it a very ordinary bun. The baked salted egg custard was still runny when cut open. The filling was fragrant but a little on the sweet side, crust was fairly ordinary in texture and taste. 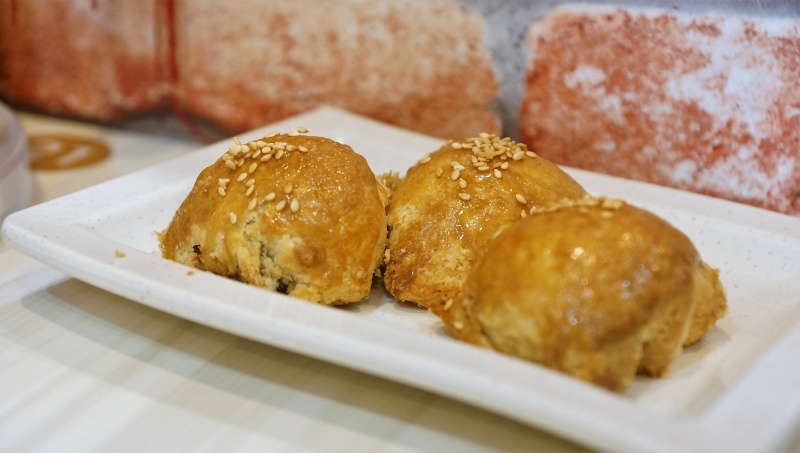 Nice pastry with salivating filling. 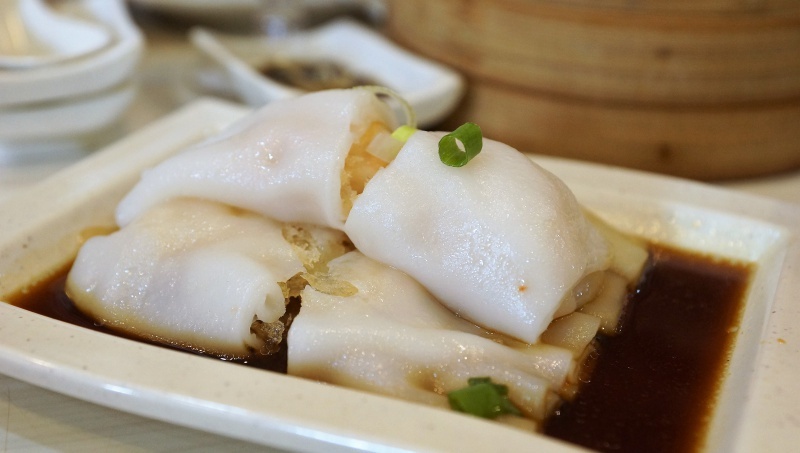 The chee cheong fun was encased shrimp and crispy rice roll to give it a unique texture. We enjoyed it. From the dim sum we ordered, Dim sum Haus seems to be excel more at its fried items. 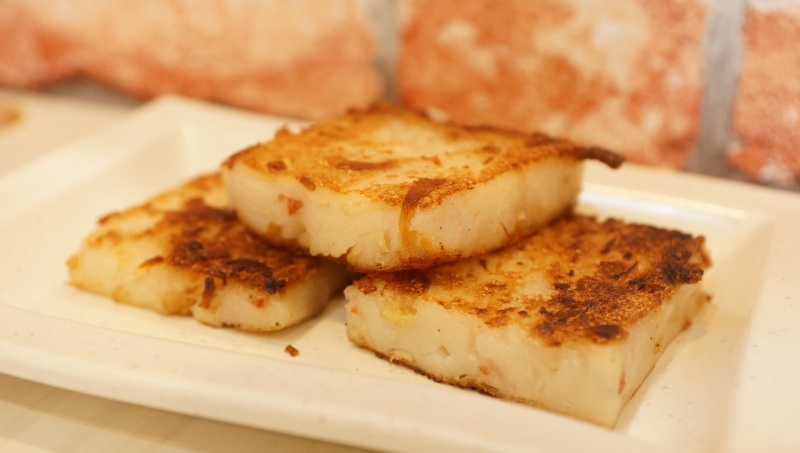 Be it pan-fried or deep-fried, the dishes had an alluring flavour, and the intricacies presented were more refined than those which were steamed. 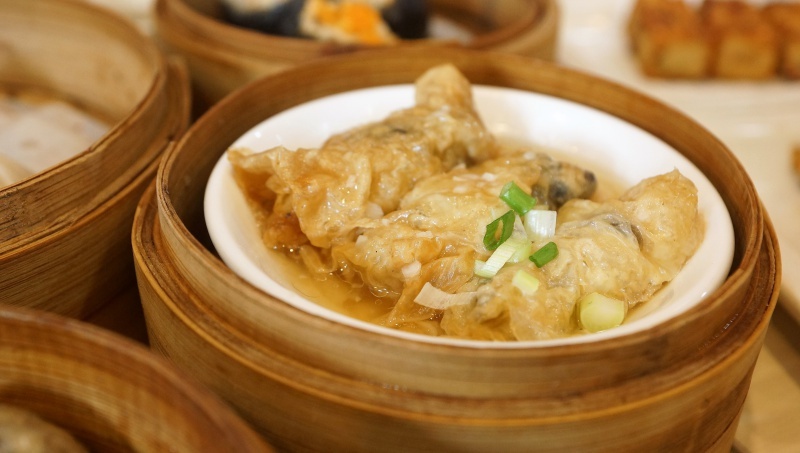 Overall, it was the unhealthy fried items that Dim Sum Haus won us over. 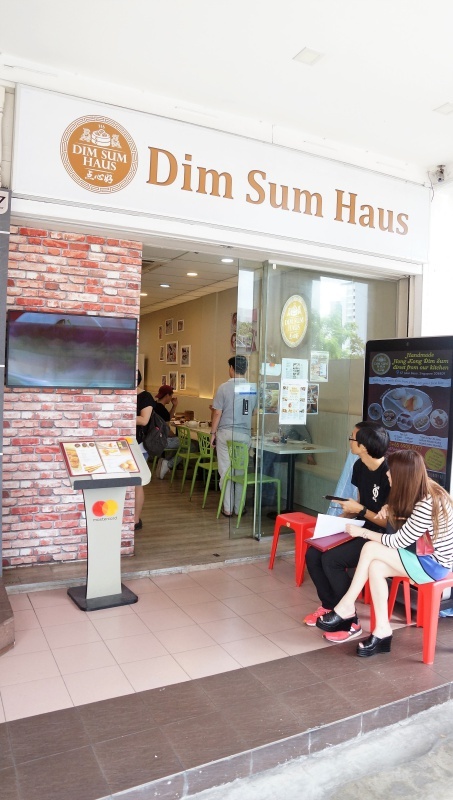 Sinful, but that’s what Dim Sum Haus is good at, ok… just take more “liang teh” 涼茶 (Herbal tea) to neutralise. GST and Service Charge applicable.